Well, I am officially back in the US. It feels weird, exciting, and a little sad all at the same time. Don't get me wrong, I am happy to be home, but it definitely feels like the end of something special. Describing this past year as something special is probably an understatement. I had almost a full year to research in the archives of Florence and along the way I visited a ton of new places. It was the best of both worlds -- adventures in the archive and adventures around Europe. I visited four new countries (The Netherlands, Austria, Hungary, and the Czech Republic) and fifteen new cities (Budapest, Vienna, Salzburg, Verona, Prague, Dublin, Cannes, St. Tropez, Nice, Monte Carlo, Amsterdam, Santorini, Ischia, Procida, and Cappadocia). That is the best part about living in Europe, the proximity of so many incredible places and the cheap flights and bus rides that can take you there on a weekend whim! For now, however, I will console myself with all of the things that I missed. I am looking forward to getting back into shape and getting back on the 90%-vegan wagon (I made it about 4 months in Italy with that before I gave up... cheese is everywhere!). I also pretty much went a year without cable TV and decent WIFI, so I am not going to lie, having those back will be nice. And of course, there will also be lots of Target and Dunkin Donuts runs now that I am home. Naturally, there will be plenty that I miss from life in Florence. I loved walking everywhere and constantly being surrounded by history and gorgeous architecture. I will really miss stopping by the fresh market next to my house each morning to purchase locally-grown fresh fruits and veggies. I will miss my Florentine friends and spending my days in the archive. But that said, I am looking forward to getting serious about writing this dissertation. Having the chance to live almost a full year abroad was absolutely incredible and I feel so lucky that I had the opportunity to do so. 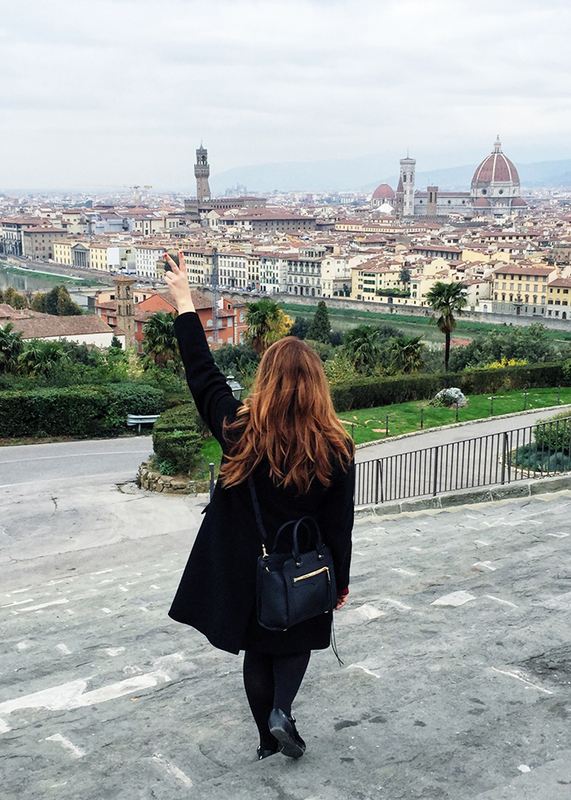 I am also lucky, because even though the end of this year is a little bittersweet, I will get to return to Florence to work this summer.